As the days continue to draw in and we witness a chill return to the air, the prospect of cosying down in a nice restaurant and indulging in a delicious meal is becoming increasingly tempting. And a visit to Truro’s Xen Noodle and Wine Bar promises to be a tasty experience of South Korean and Asian food; the sweet and the sour, the hot and the salty, all mixed with a rainbow of wholesome ingredients. As it’s the season of sharing, we recommend going with friends or family and ordering the South Korean BBQ grill, not only to remind you of the blissful barbeques of summer but also to tuck in to a delicious feast of marinated meat, seafood and vegetables among friends. 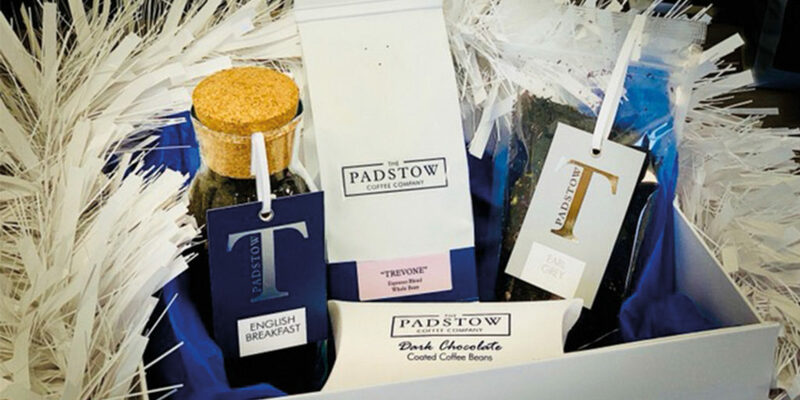 If you’re a coffee lover, or know someone who is – then make sure to add a Padstow Coffee Company hamper to your Christmas list this winter! With delectable dark chocolate-coated coffee beans, luxurious loose-leaf teas and the finest coffee blends, the Christmas hamper provides a tempting selection of goodies to indulge in during the festive season. Here at Cornwall Living we absolutely love this gift idea because the cold days and dark nights make our morning coffees and evening teas increasingly necessary! Plus, the flavours of tea sound absolutely gorgeous, and we particularly like the sound of the Spiced Orange and warming Indian Chai Teas and can just imagine sinking into the sofa on an evening with one of these real winter warmer flavours. Located on St Mary’s island on the Isles of Scilly, the Star Castle – once a 16th century fortress, and now a luxurious hotel – is situated atop the cliffs overlooking the Atlantic Ocean and neighbouring islands. Christmas at the Star Castle promises to be a spectacular event and takes place from the 22nd until 26th December. The five day package includes a shooting competition and quiz, a traditional Christmas lunch and a Black Tie dinner with prizes, all promising to provide a fantastic festive break amidst the atmospheric scenery of the castle and its glorious surroundings. There’s also a New Year’s package running from 29th December until 2nd January including a wine tasting, New Year’s Eve party and Banquet dinner.? The new restaurant, Edie’s Kitchen, is run by husband and wife team, Nigel and Kelly Brown. An acclaimed chef, Nigel has returned to his home county of Cornwall to open a restaurant with Kelly, naming it after their 15 year old daughter, Edie. Upon visiting, you may notice the green ‘i’s on the restaurant’s lettering – a nod towards their two year old daughter, Iris. Nigel and Kelly are dedicated to using the freshest ingredients to create menus for all ages and tastes, and you can see Nigel busily at work thanks to the open kitchen! So if you’re looking for somewhere new to eat out with the family this Christmas, why not pay a visit to Edie’s Kitchen? 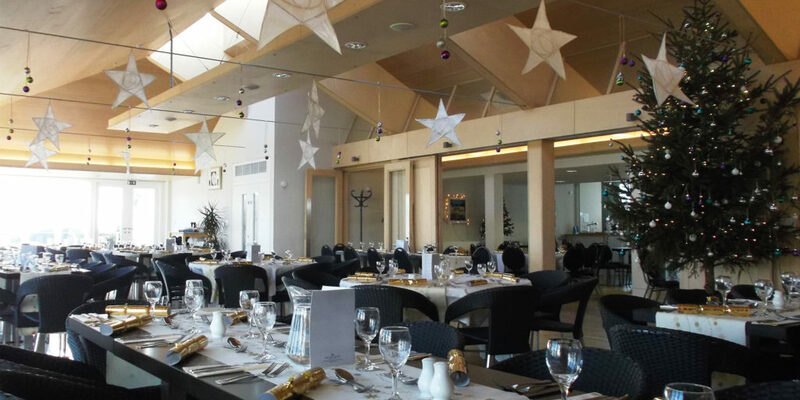 With a Christmas menu available from 1st December until the 20th, all party sizes can be accommodated for at this beautiful harbourside restaurant, from intimate meals for two to gatherings of up to 40. 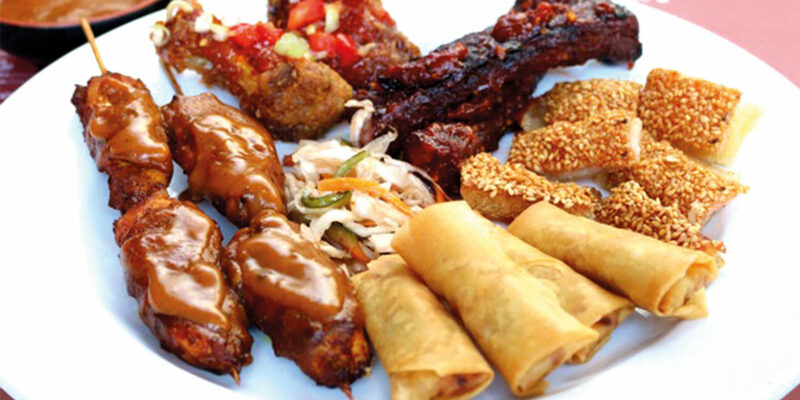 What’s more, the team of talented chefs are happy to cater to all dietary requirements. 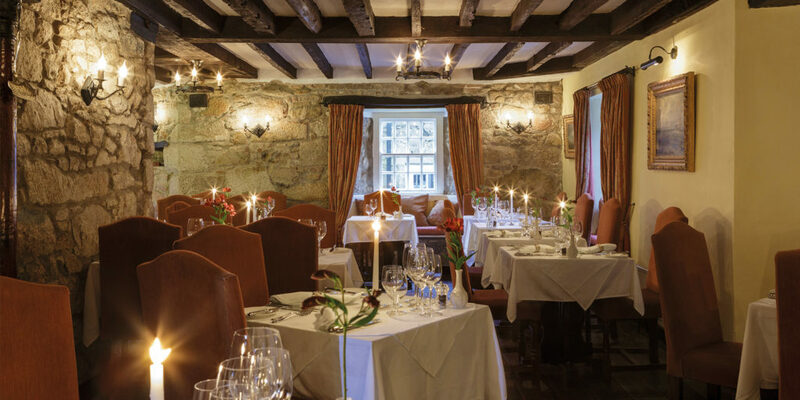 The festive menu includes the finest selection of food, such as West Country game, tiger prawns, Cornish hake, West Country turkey and cheese, along with traditional Christmas pudding. All food is served with a variety of world wines and seasonal cocktails, as well as plastic free Christmas crackers! And don’t forget to pop into the Deli before you leave, where you’ll find a whole host of Christmas shopping ideas. 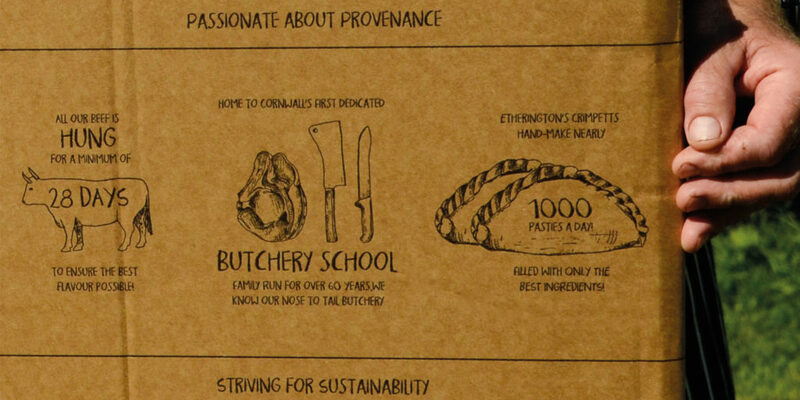 Make your own hamper choosing from a wealth of West Country fare – the perfect gift for those hard-to-buy-for loved ones. There will also be food and wine pairing evenings taking place throughout the winter. As the seasons change from summer to autumn and a noticeable chill descends we draw ever closer to the season of festivities and best of all Christmas parties! And The Kitchen by The Beach knows how to host, simply don your party frocks and Christmas jumpers and head to the restaurant for an evening of delicious food cooked to perfection and cheery festive atmosphere to boot. 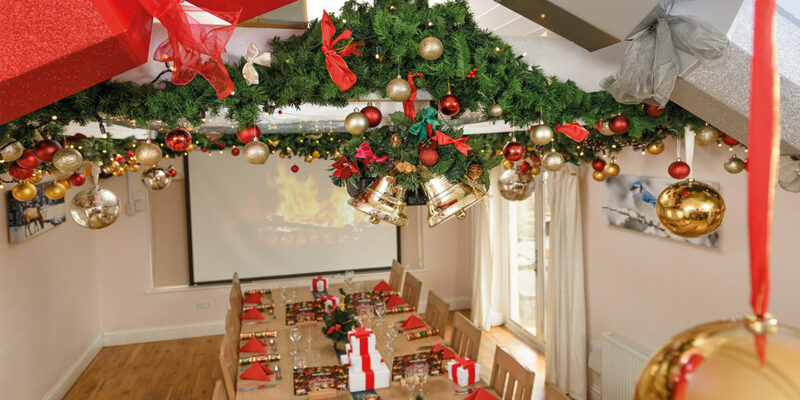 Enjoy either a two-course meal (£22 per person) or a three-course meal (£27 per person) with crackers, streamers and party hats thrown in and perhaps even an appearance from the family of goats dressed up as reindeer! Promising to be a fun-packed festive feast by the coast, make sure to book your party soon to avoid disappointment! 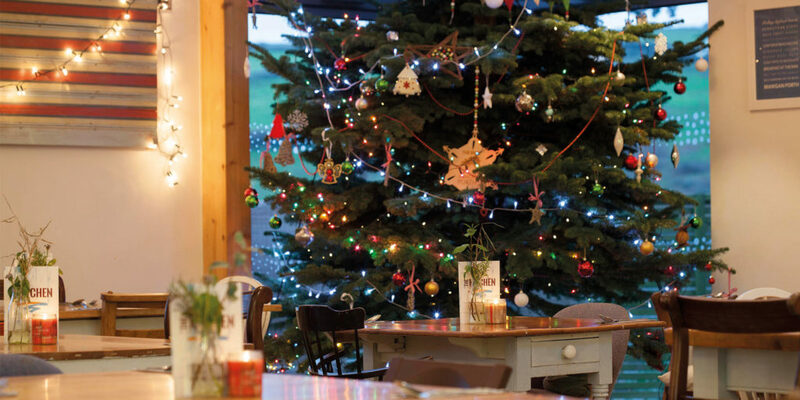 There are few better places to soak up the festive atmosphere than The Victoria Inn on the outskirts of Truro. 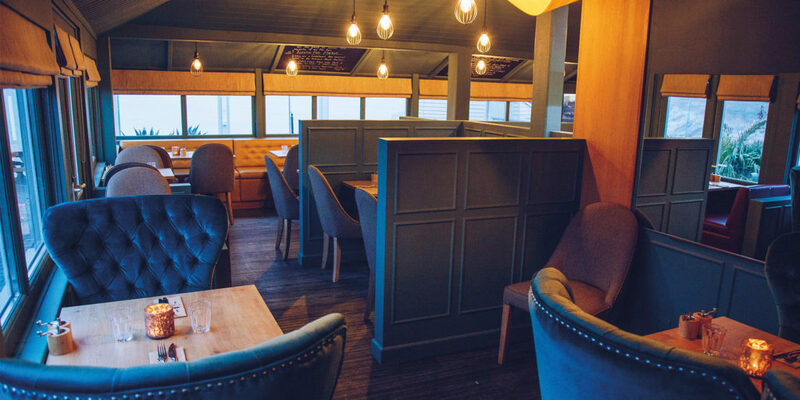 The popular Threemilestone public house goes through a full Christmas transformation, giving it a stunning interior which provides you with that warm festive feeling. 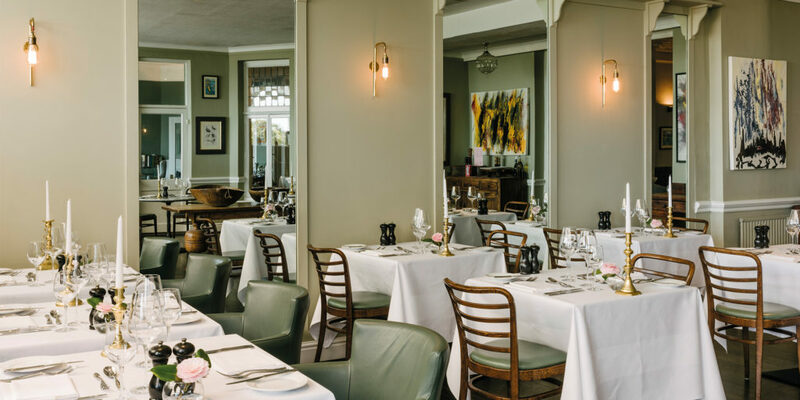 The award-winning team offer a two or three-course lunch or evening menu, which can cater for a large works party or a cosy evening enjoying some good food and mulled cider with family and friends. Other selections from the Christmas Experience menu are pan roasted hake wrapped in bacon with a sweet potato rosti, turkey and stuffing christmas pie and a chocolate sponge pudding, to name a few! 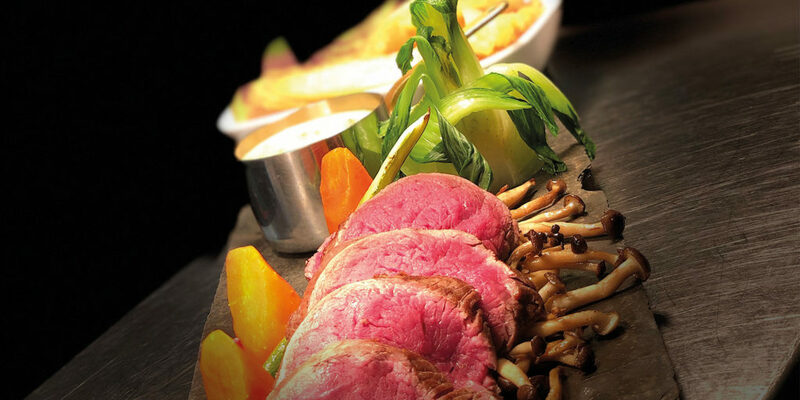 Three courses costs just £23 or if you can only fit in two, you’ll pay just £18. You’ll also be able to make the most of the roaring open fire, the perfect remedy after a chilly Cornish stroll. 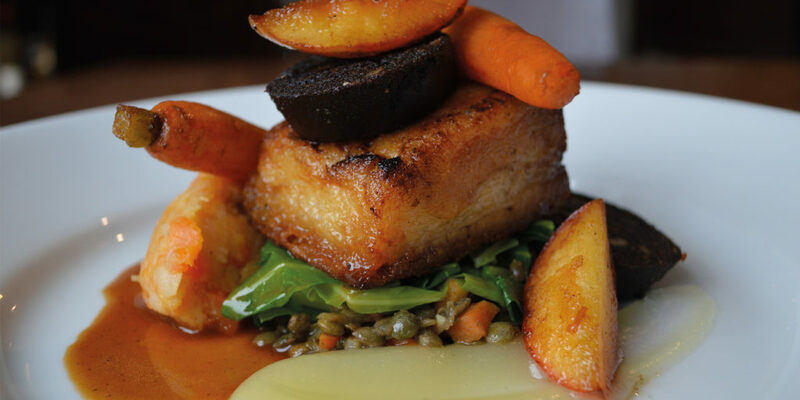 The Racehorse Inn believes in amazing food that helps bring people together. 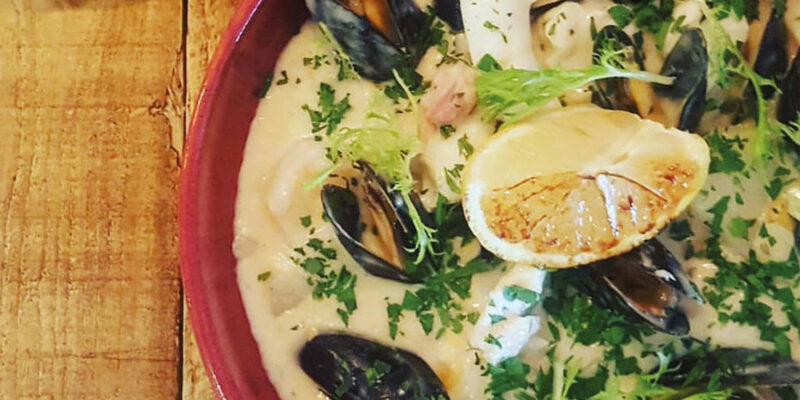 Here’s a flavour of what’s in store: “We went for starters of the scallops with black pudding and the crab and pea panna cotta; Moorland sirloin and hake with spinach gnocchi, rounded off with a cheese board (incredible) and a beautiful lemon and orange posset with poached rhubarb. Universally fantastic.” And what about the wine? “The beautifully rich Spanish wine from the Douro was perfectly matched with steak and served at the table in a glorious decanter! 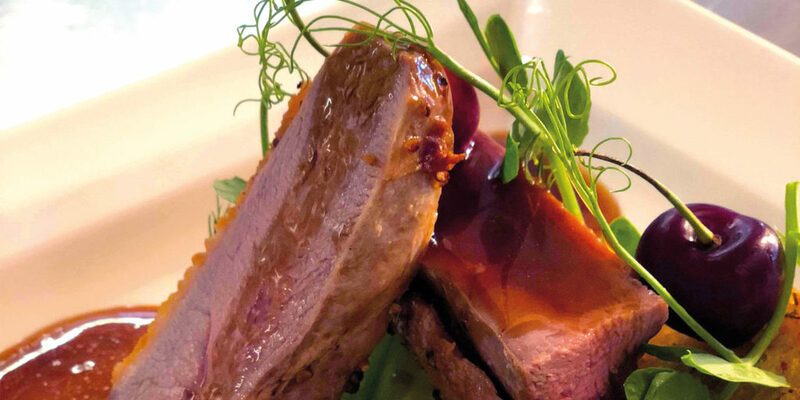 Such a unique touch that put the evening into the highest levels of enjoyment.” Don’t take our word for it though, visit The Racehorse Inn for yourself and discover the delicious foodie fare on offer. In Cornwall, there’s always been a natural link between the artist and the landscape. This connection to land and sea is something John Coulson, winemaker at Polgoon Vineyard, also feels strongly about and has inspired him to approach Newlyn School of Art to commission the tutors to create artwork for the labels of Polgoon’s latest limited edition, Bacchus white wine. Anthony Garratt’s ‘Plucked Mine’ was chosen for this year’s commission and is a moody depiction painted with soil from Botallack mine itself. 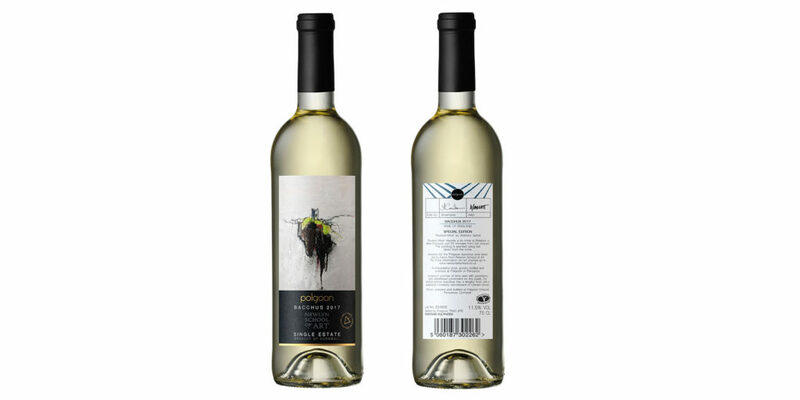 The Art Bacchus wine has fresh, crisp, citrusy aromas and each bottle is signed by the artist and numbered from 1 to 1500. Plus, with every bottle sold, a donation will be made to help support the work that Newlyn Art School does to teach, mentor and support artists from around the country. Following on from the success of their one off Land, Sea and Allotment event, the team at Hooked on the Rocks is excited to announce that throughout autumn and up until early December, they will be running a series of Reared and Wild evenings. Taking place on Thursday 11th October, 15th November and 6th December, these special events will see the team of talented chefs making the most of their local suppliers as they create the ultimate surf and turf, with lobster caught straight from outside the restaurant! What’s more, if you’re starting to fill your festive diary, you’ll be pleased to know that the Hooked on the Rocks Christmas party menu will be available from Thursday until Sunday, throughout December. All of this can be enjoyed in the restaurant’s newly refurbished interior, with magnificent views of Swanpool beach and the ocean beyond. To avoid disappointment, booking is most certainly advisable! Immerse yourself in the fire and smoke of the Rebellion Roasthouse and Moonshine Bar in Newquay. Inspired by the era of prohibition in America, Rebellion provides a daring marriage of smokehouse flavours with a potent mixture of Cornish Moonshine. We hear from owners Sallie and Simon Duggan who tell us: “We like to stand out and have therefore created a menu that differs from the norm. We’re not about saving you calories, we’re about giving you the best possible time by serving mouth-watering food that’s a little different and a bit more out there than your typical restaurant.” With its warm wooden interior and hearty food choices, Rebellion makes the perfect spot for a feast this autumn so make sure to book your table now and join the food rebellion! One of the best ways to spend time over the festive period has got to be a trip to the panto, and at Princess Pavilions in Falmouth, the fabulous and acclaimed Miracle Theatre is putting on their production of Aladdin, a firm family favourite. Alongside this, the Princess Pavilion team will be welcoming guests to The Garden Room Bar and Bistro, where bookings are now being accepted for the eagerly-anticipated Christmas menu! With firm festive favourites to choose from, along with a selection of other options for those who don’t want to spoil their appetite for the big day, the Christmas menu is sure to delight, so booking is essential, and The Garden Room is a fantastic place in which to relax and sate those sea-air appetites, especially if you have tickets for the evening showing! 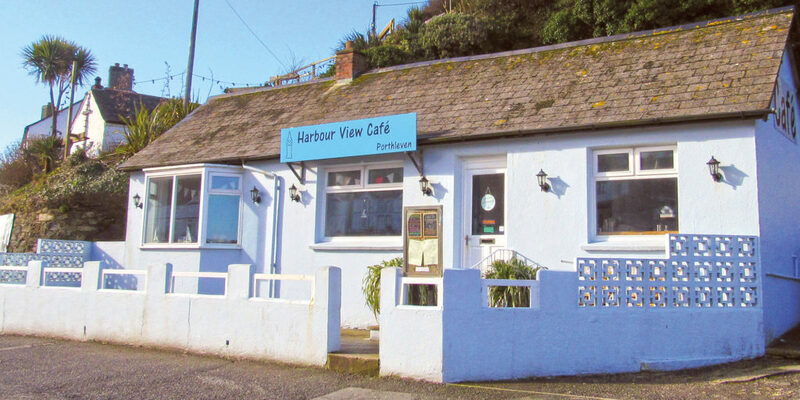 Known for its all day breakfasts and open throughout the winter, Harbour View Café in Porthleven is gearing up for the festive season ahead. Indeed, we’re told that the team’s delicious home made mince pies will be available throughout December, with a hot drinks loyalty scheme starting from October – perfect for anyone looking to warm their cockles as they wander the South West Coast Path. The café is also dog-friendly, and with such a fantastic stretch of coastal path for dog walkers in either direction, it’s a great place to start or end your day out with the pooch. With vegan, dairy free and gluten-free options all available on the menu, as well as free drinks with all breakfasts until Christmas; if you’re out and about on the south coast, with or without your furry friend, be sure to enjoy a pit stop at the aptly-named Harbour View Café. ‘Are you eating enough?’ The dreaded question students across the country are being asked by concerned loved ones, whilst surrounded by empty microwave meals and pizza boxes. Even if they have bought a bag of salad, chances are it lies forgotten in the bottom of the fridge, now resembling mush! Fortunately, thanks to Etherington’s Farm Shop in Scorrier, worried parents can rest easy and simply order the award-winning butchers’ new ‘Student Survival Meat Box’, filled with healthy, protein fuelled, easy-to-cook meats. or, if they’re brave enough to attempt it, lasagne), as well as a quick chicken and stir-fry mix and bacon rashers, perfect for pick me up sandwiches after fun Friday nights. 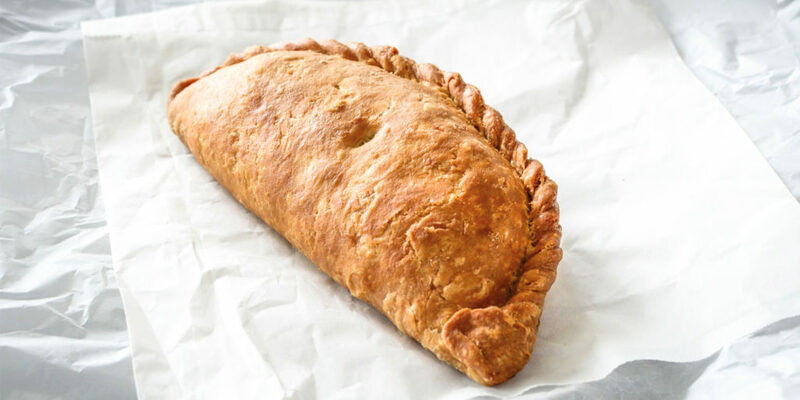 It also includes the ultimate ready meal, Etherington’s gold award-winning Cornish pasties, which cook in less than an hour and provide your teenager with a hearty, warming dinner. These also have the added bonus of limited washing up! Etherington’s have also put together some great ‘how-to’ guides on cooking everything in the box, which can be delivered nationwide. All meat is delivered frozen, perfect for stocking freezers, and the boxes cost just £35.99. Three rosettes for Rastella at Merchants Manor! Rastella at Merchants Manor, Falmouth brings home another first, putting Falmouth at the heart of the Cornish food scene, presented with a coveted third rosette at the exclusive AA hospitality awards 2018 at Grosvenor House, London on Monday 24th September, and just in time for Christmas! The hotel’s Rastella restaurant (Cornish for ‘grill’) scooped the accolade following an AA inspection earlier in the year.